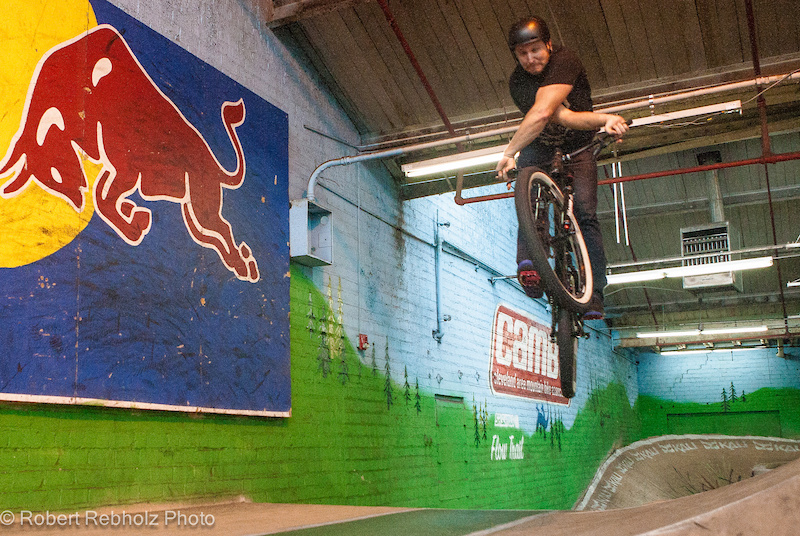 Indoor mountain bike parks and fat bike racing keep East Coast riders rolling all winter long. When I started mountain biking in the early 2000’s, there was no winter riding in my hometown of Buffalo, New York. In late October when days get shorter and nights turn colder, it’s just a matter of time until the Lake Erie snow machine fires up and socks the singletrack in until spring. With the trails covered in a thick blanket of snow, riding friends would fade away and my bikes would collect dust for the next five to six months. Fast forward to 2017, and winter riding in the Northeast is rad. There are heaps of great indoor mountain bike parks, and more groomed fat bike courses are popping up every winter. 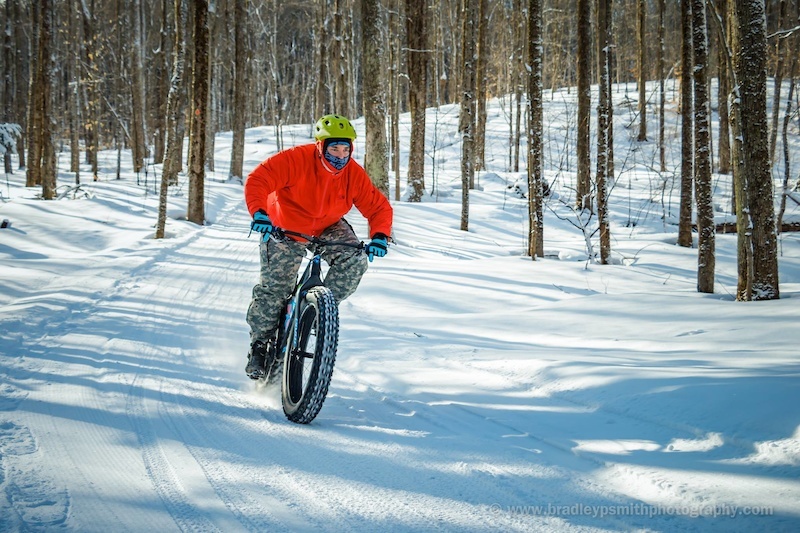 Whether you prefer flowing box jumps and skate bowls or cranking out big cross-country loops on packed powder, you can now enjoy riding on the shortest and coldest days of the year on the East Coast. 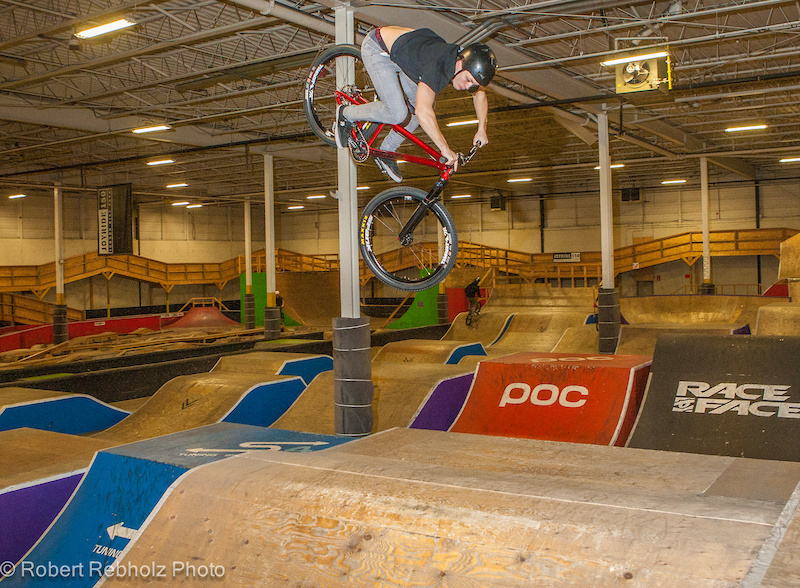 Ray’s MTB in Cleveland, Ohio was the first indoor mountain bike park in the world and is one of my favorite places to ride in the winter. Go there on any weekend from October until April, and you’ll see that I’m not alone in my love for Ray’s. The WWII era parachute factory turned indoor mountain bike mecca has something for every style and level of rider. You can get a great bird's-eye view of the park from the elevated sections of the cross-country trail. Hang out up there for a moment, and you’ll see people style out the box jumps, flow through the street course and test their skills on the endless trials lines. You will see young and old, pros and first timers, all stoked to be enjoying the miracle that is Ray’s. The new design of the Rhythm Room is indeed very special. 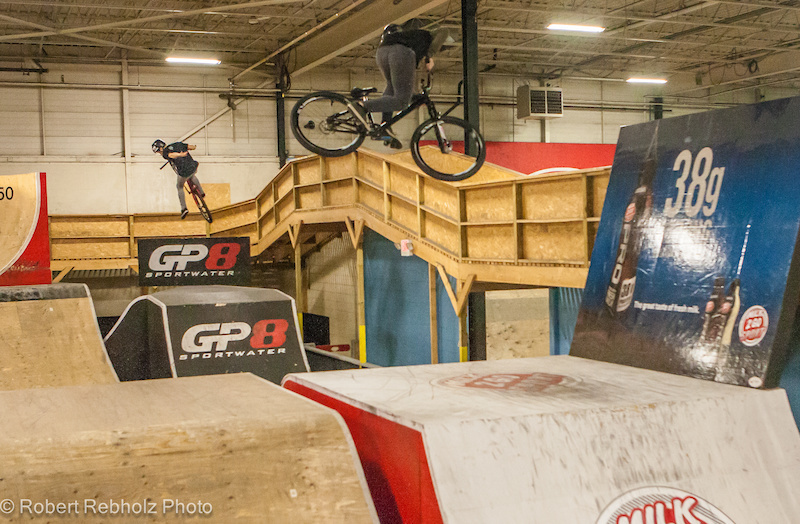 You can flow around the pump track, hone your skills on smaller jumps, or send it on the big box jump line. The Rhythm Room remodel does a seamless job of keeping different levels of riders separated, while in the same room together. 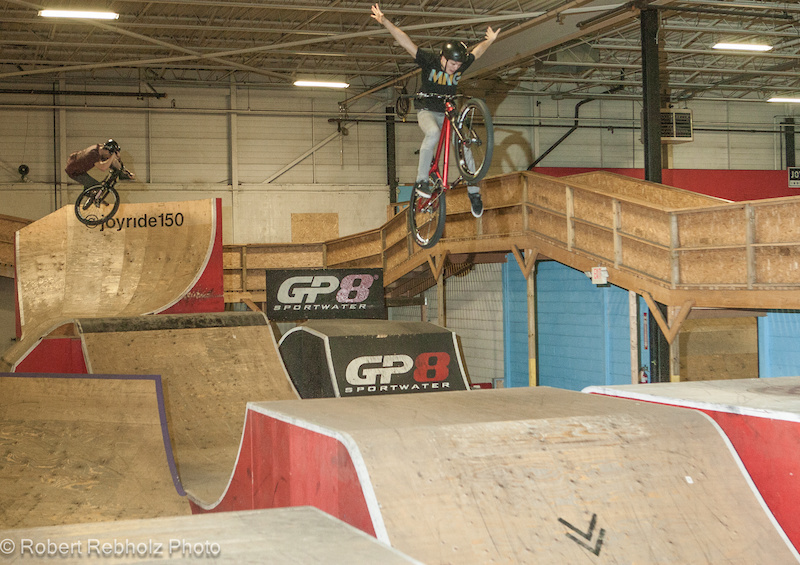 Another great East Coast indoor park is Joyride 150 in Markham, Ontario. 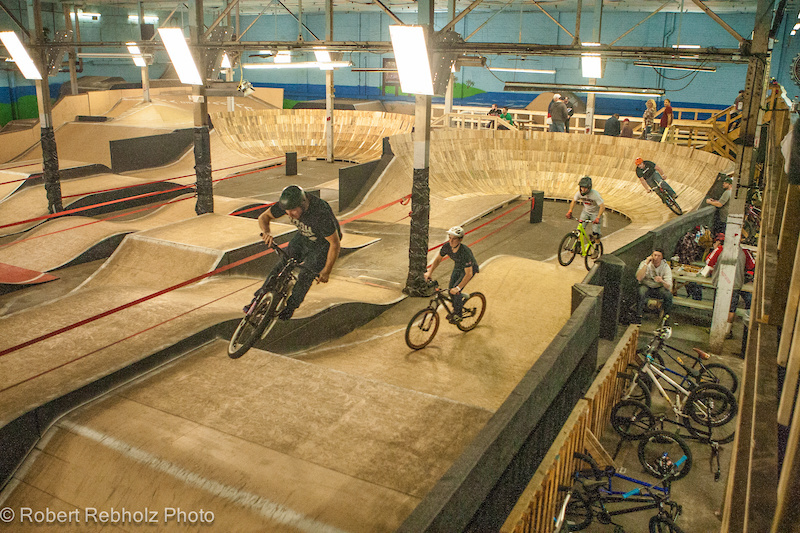 Joyride has something for every level of rider, but its top-notch foam pit, resi-ramp, box jumps and park make it a popular winter training spot for pros. On any given day you may see traveling pros, or locals like Drew Bezanson or Brett Rheeder, shredding the park. 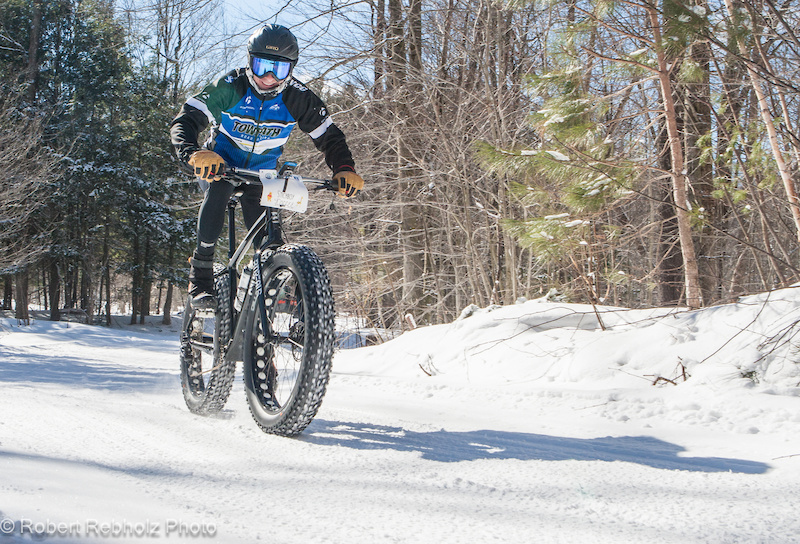 You don’t have to be a fan of XC racing to enjoy a fat bike. The vibe is much more laid back than a traditional cross-country race, and the camaraderie among racers is awesome. 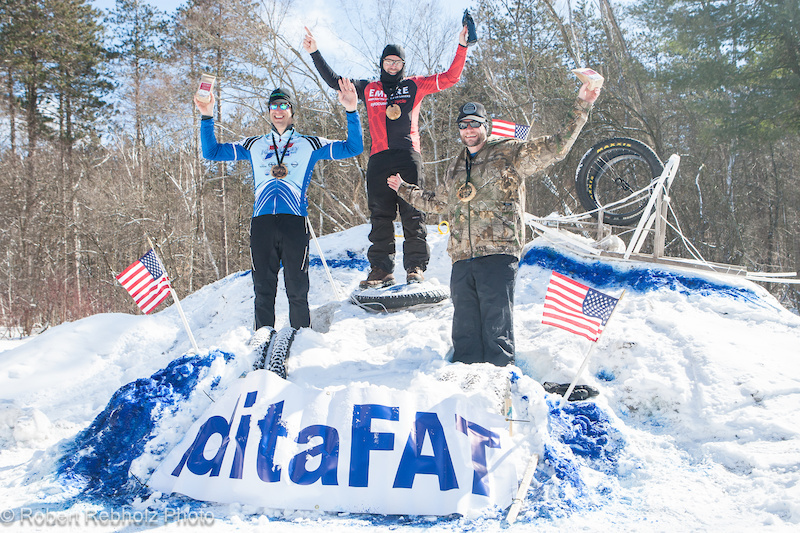 For most folks participating in fat bike races, winning is an afterthought. 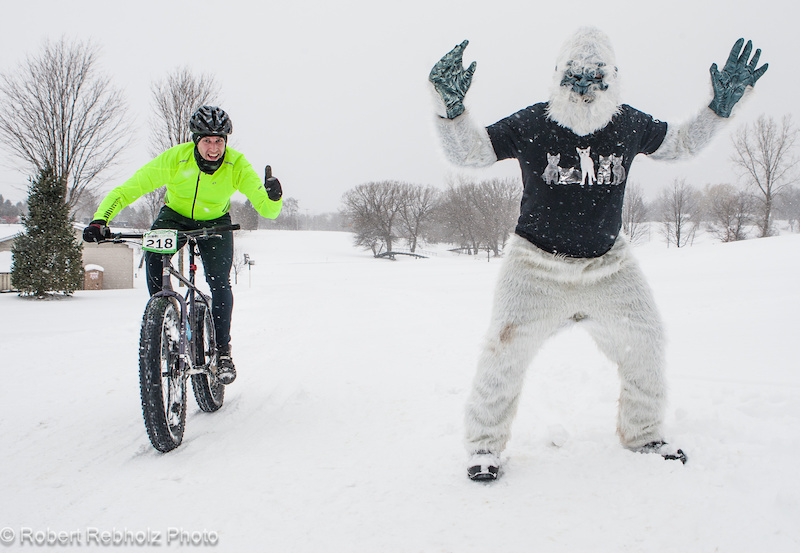 People are just trying to stay warm and have fun on their bikes. 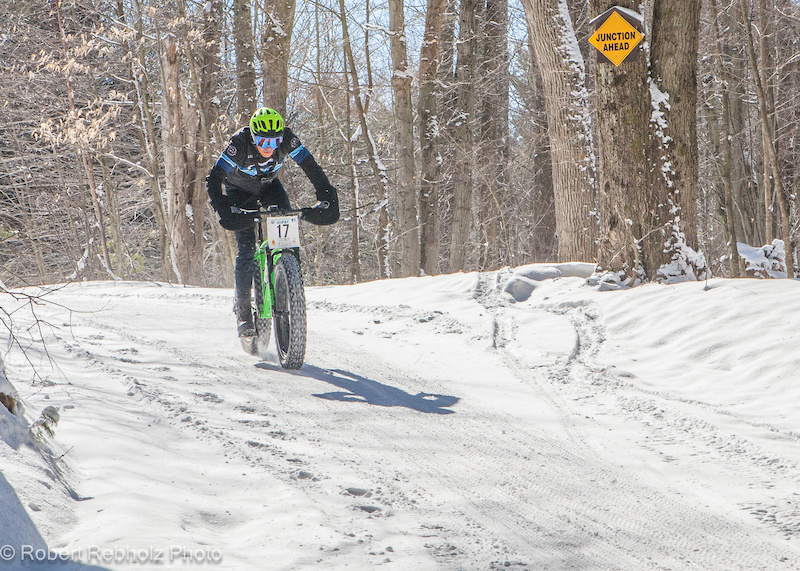 I participated in two fat bike races this season, and they were both a blast. The first was the You Wheelie Make My Heart Race in Varysburg, New York. 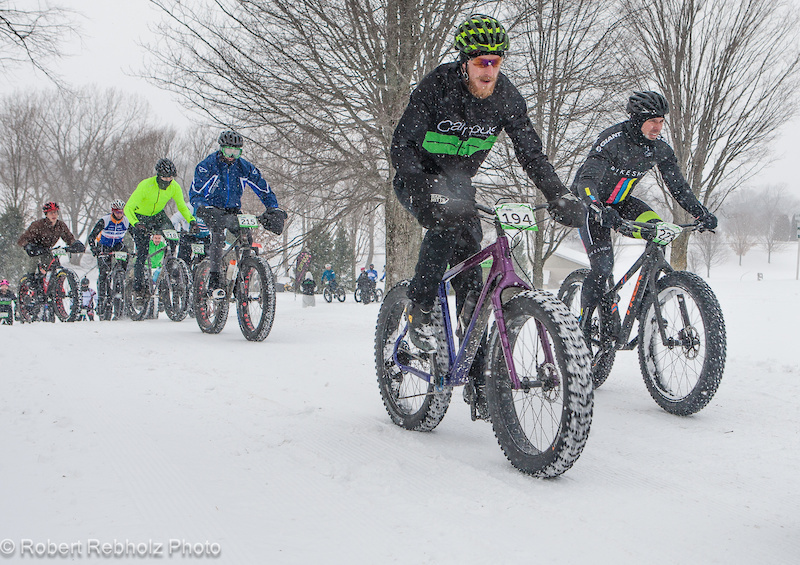 This event is put on by Campus WheelWorks bike shop out of Buffalo, New York, and is part of their larger Great Winter Get Out contest. Participants compete for a slew of goodies from contest sponsors Campus Cycling Collective, White Bicycle Design Studio, Providence Social and Hand of Doom Tattoo. I took a look at the contest points board on the GooseChase mobile app, and there were all kinds of cool challenges like playing winter bike polo, submitting pics of your best beard icicles and even getting a rad snowflake/chainring tattoo. 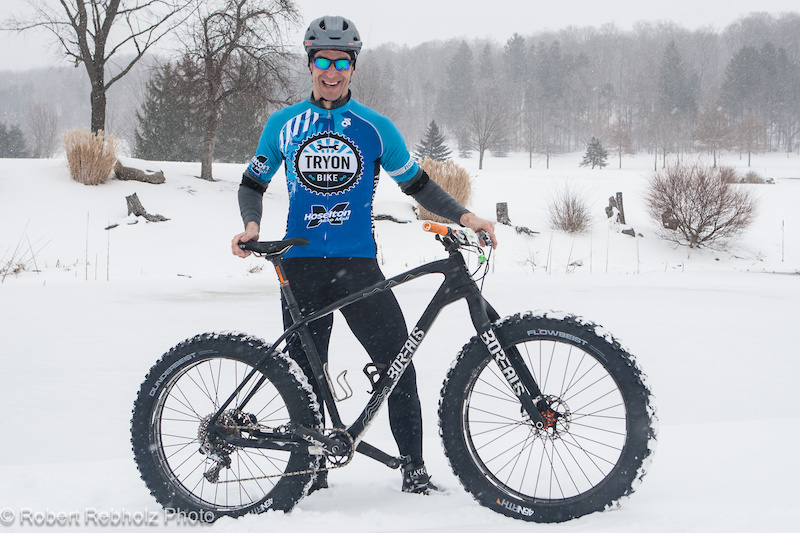 “The #GetOutBuffalo contest is like an outdoor Pokémon Go adventure but with bikes, snowshoes, and cross-country skis,” Ethan said. The third annual You Wheelie Make My Heart Race was held the weekend before Valentine’s Day (thus the name) at the Byrncliff Resort. Byrncliff is known for their golfing in the summer and groomed Nordic trail skiing in the winter. 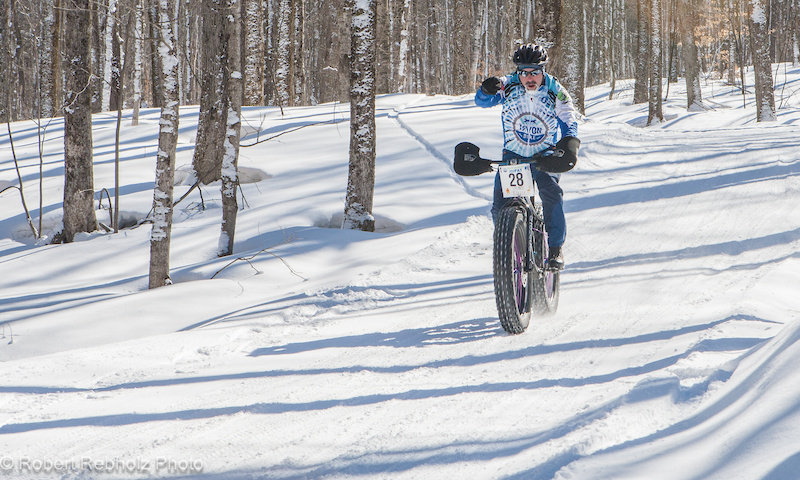 They do an amazing job of creating a very technical 2.5-mile loop for the annual fat bike race. 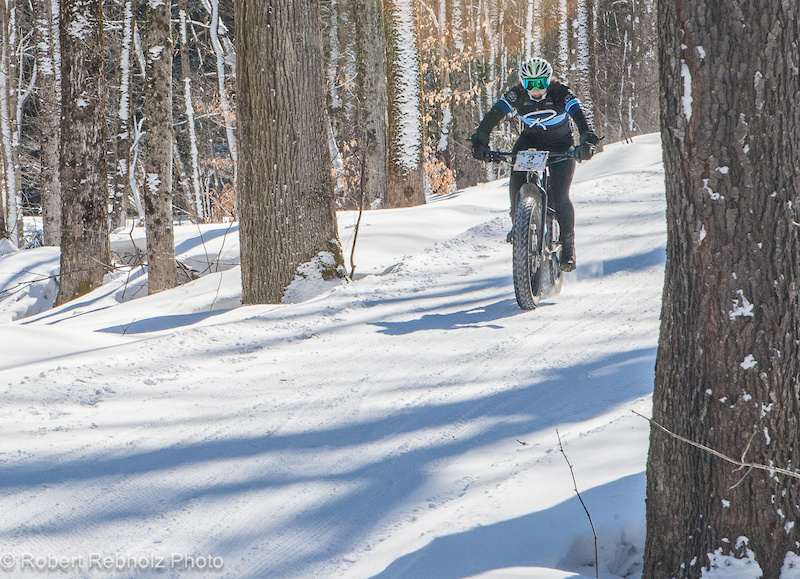 The second race I checked out this past winter was the IditaFAT Bike Race held at the Winona Forest in Lacona, New York. Lacona is located on the Tug Hill Plateau, best known for the tremendous amount of snow it receives every winter. “We get the most snow east of the Rockies,” IditaFAT organizer Tom Hall said. The night before the race four inches of fresh powder fell, so Tom and his crew were busy grooming the eight-mile race loop all night long. Somehow Tom had the energy to race (and win) the single-lap race. While some did the two or three lap races, one lap of the beautiful rolling, groomed doubletrack was plenty for me. The temperature at race time was a balmy 10°F, or -12°C, so I wasn’t so keen to do any more than that. After the race, the hot soups, chili, and sandwiches in the warming hut were like gold. The IditaFAT Bike Race is one of the coolest cycling events I’ve ever been to, and I highly recommend checking it out. I had an awesome stay at the Tailwater Lodge, located about 25 minutes from the race venue in Altmar. The Tailwater is a converted elementary school that has been reborn into a luxurious rustic lodge. 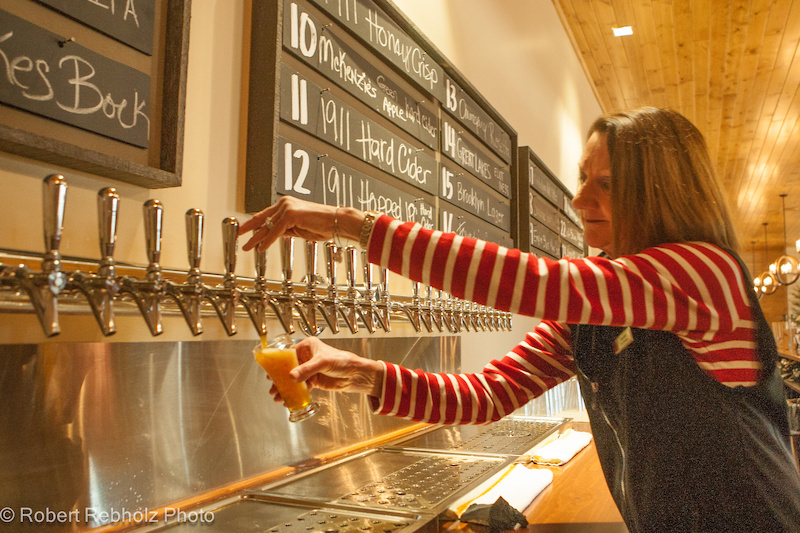 The Tailwater’s taproom and restaurant are great places to unwind after a long day of fly fishing, snowmobiling or, of course, fat biking. 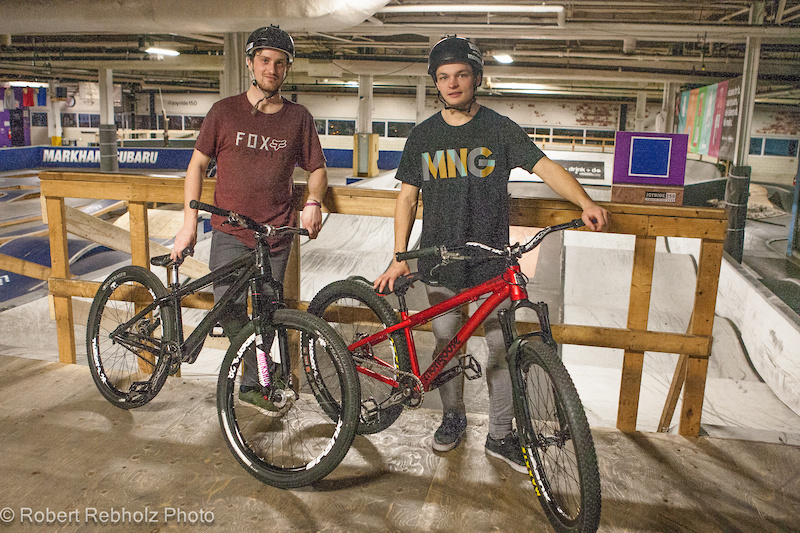 Thanks to everyone made this article happen, including Ray Petro, Keith Miller and Andrew Kobak from Ray’s MTB; Mark Summers, Brayden Barrett-Hay and Bryan Sciuk from Joyride 150; Ethan Johnson and Alex Davies from Campus WheelWorks; and Tom Hall and Patrick McFalls from IditaFAT. Also thanks to the staff of the Tailwater for making my stay so enjoyable. Thanks to Daniel Limburg and Carla McCord at Pivot Cycles, Scott Boyd at Answer/Hayes/Manitou/SUNringle, Logan Davies at Thomson, Curtis Worthington and Sam Johnston at 9point8, Liam Walsh and Bob Maas at Lake Cycling, CatEye, Blaike Hennessey at Thule, Dave Watson and Kristen Smart at Sombrio, and Jon Hadfield at OneUp Components. Also, big thanks to Ryan Anderson and Ryan Schmidt for helping me with my fat build. Yeah this sums up the north east! we had an indoor bike park till this summer and forced my hand to buy a fatbike. which I had made fun of them since they been in the scene, what a stupid fad fatbikes are...... However since I blindly bought a fatbike in the fall and having never rode one before I have to say I couldn't be happier!!! first time I rode mine it was a blast from the past! it felt I'm 12yrs old on my GT Outlook, I couldn't stop laughing the whole time I was riding it! So yes fatbikes have their place and what a blast to ride these bikes are! Great read Rob! This is a spot on account of winter riding in WNY! We make the drive from Buffalo to Cleveland at least once a winter to Ray's to keep the skills sharp. 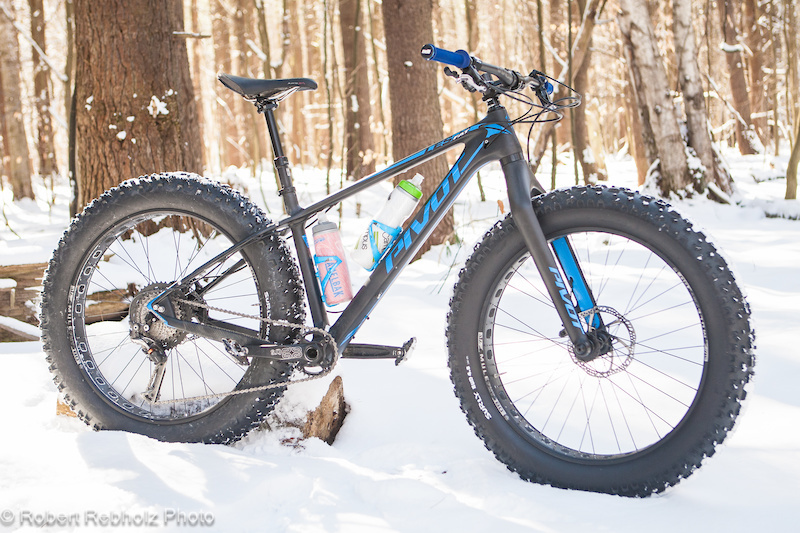 I've been making due with a plus bike but definitely need to build up a fat bike for next winter. Being from the Western New York area, I can absolutely connect with idea that the bike is going to collect some dust during the winter months. Honestly, for people who live in an area that experiences all four seasons and have a passion for getting on the bike, what other option is there? Rob Rebholz sheds some light and motivation for me to go FAT after reading about some of the events that are happening right in my own backyard. Once I invest in a fat bike, I'm sure it will pay off in terms of keeping up my conditioning and curing the deadly cabin fever when things turn white outside. Thanks Rob! Such a great round up of my favorite winter activities! Thanks, Rob for letting people know about all the awesome stuff we have in the northeast! Pretty sweet to see AJ from Tryon up here! That shop is my go-to when I need work done.